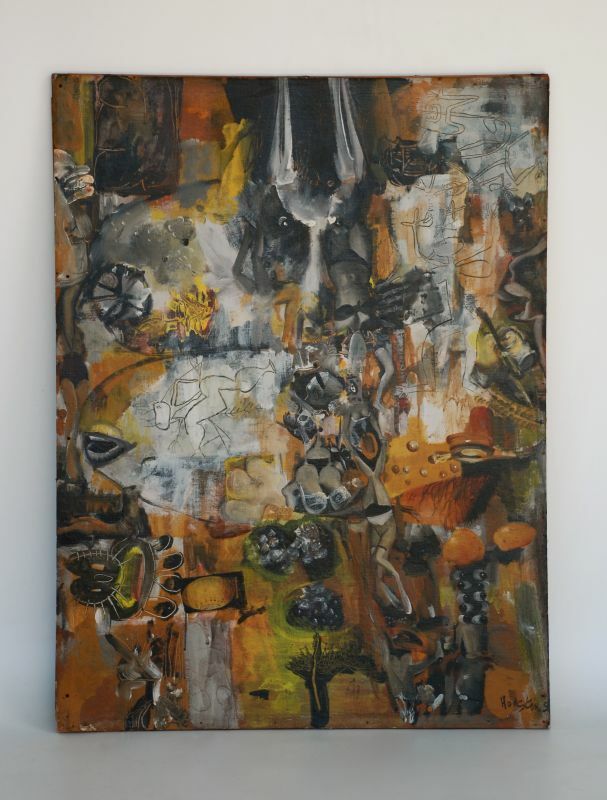 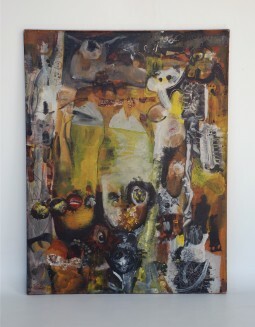 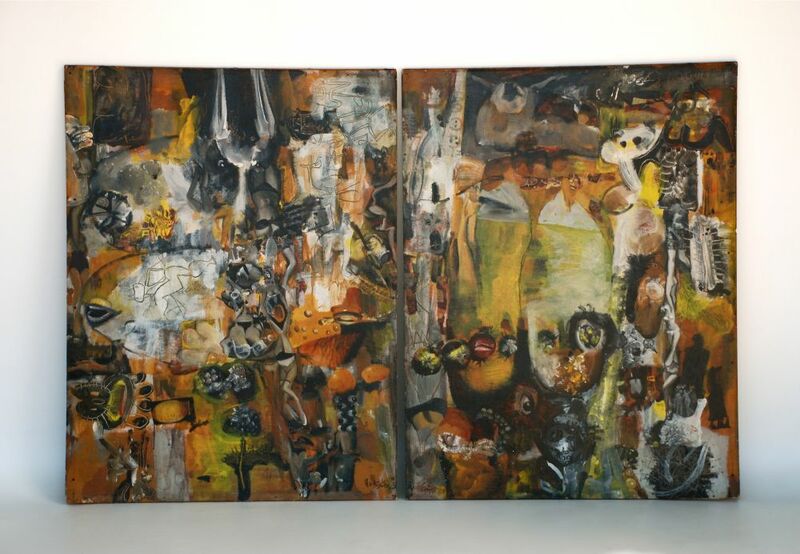 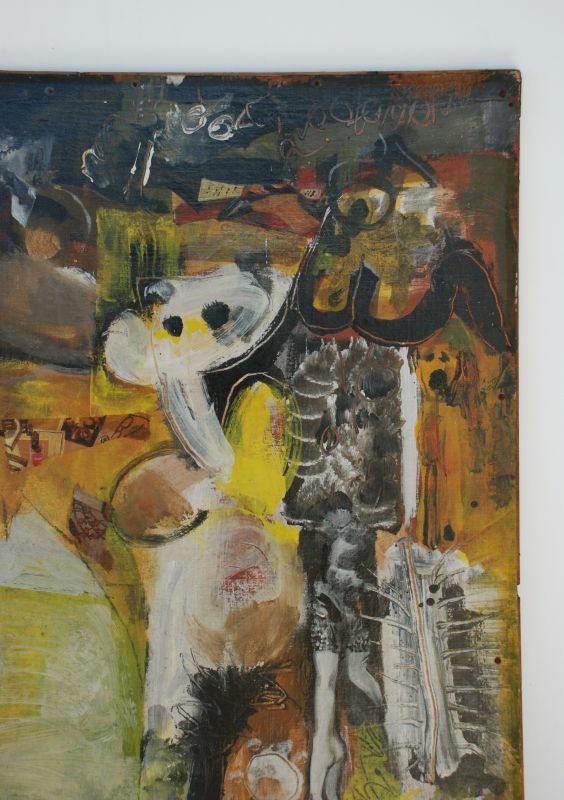 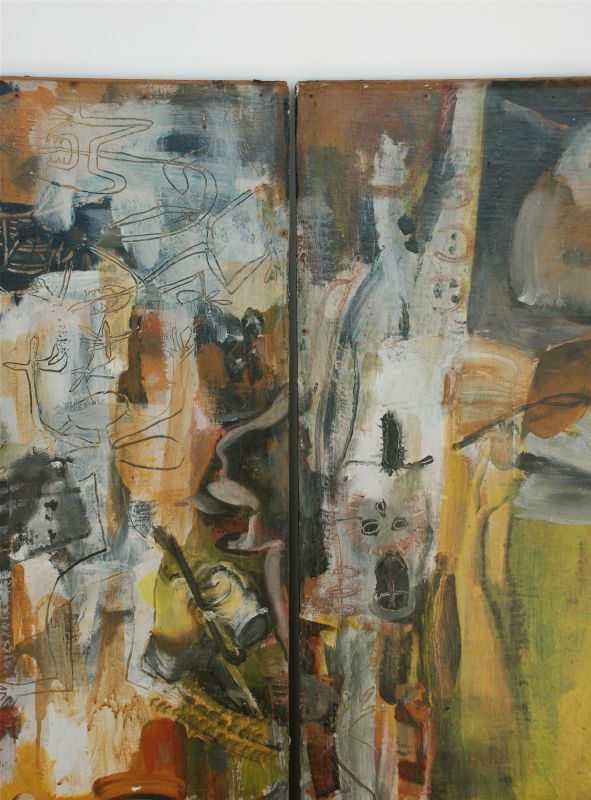 A diptych by the Australian artist, Frank Hodgkinson. It is part of the series of paintings he titled "The Garden of Earthly Delights", which he painted in Galilea, Mallorca in Spain. 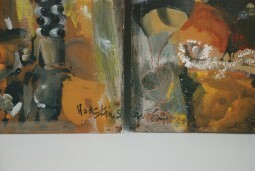 The paintings are on board and signed on the front across the two pieces. 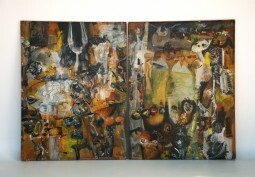 The total size is 132 cm high and 204 cm wide. 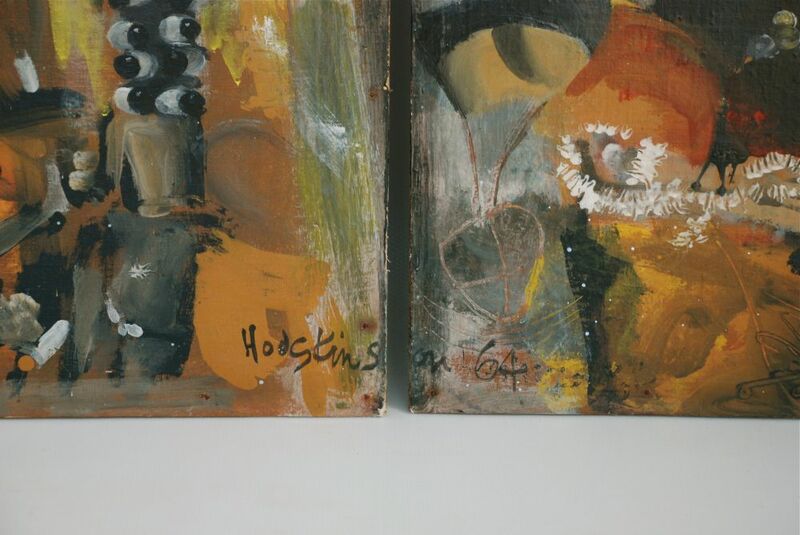 They were bought in the 90s together with a book of notes by the artist concerning that period in Mallorca when he painted them. The buyer contacted Hodgkinson in Australia and was told that on separation from his wife she brought the pictures to the UK presumably as part of her settlement and she sold them on. 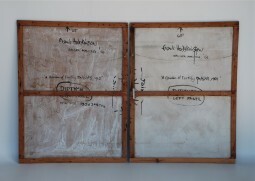 The buyer had several contacts with Hodgkinson and sent him back the notebooks because he was writing his autobiography. 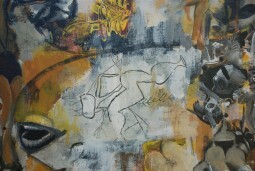 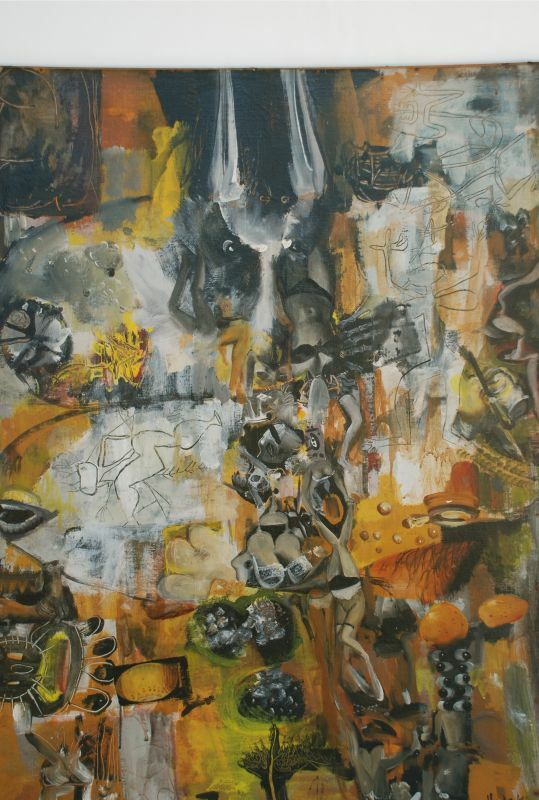 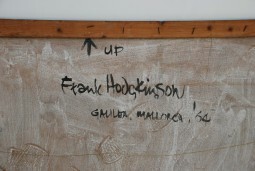 Hodgkinson studied under Tapies in Spain and for a while the paintings were impounded by Franco as pornographic. 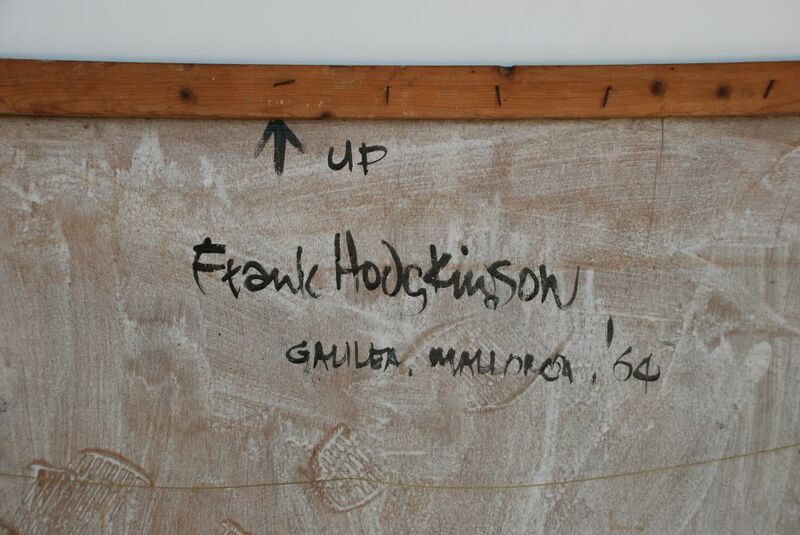 Hodgkinson was commissioned to paint the now famous murals in the Sydney post office.